Hosting a presentation or conference with one or more authors? 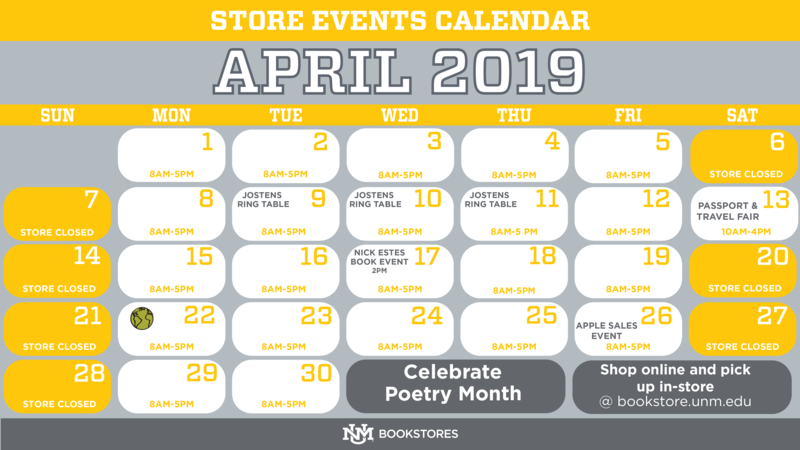 The UNM Bookstore would be happy to provide a book table at your event. We also regularly hold book signings in store for faculty and visiting authors. Please fill out the relevant form below to get started, or email Lisa Walden at lwalden@unm.edu for more information. 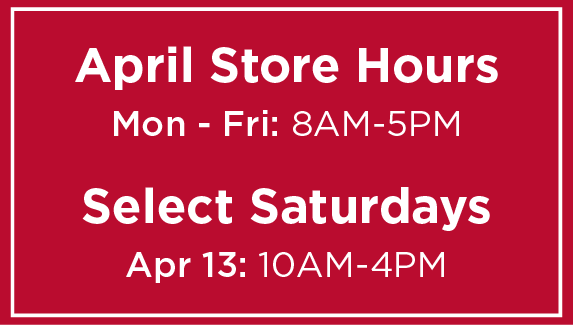 Stop by The UNM Bookstore on Main Campus to visit our Market. In partnership with Chartwells, we proudly serve Starbucks® On the Go. Starbucks® is the world’s premier roaster and retailer of specialty coffee and we are happy to offer our customers their choice of self-serve beverages. Whether you want a hot latte, mocha, cappuccino or Americano, the Thermoplan Black & White 3 CTMC fully automated espresso machine delivers! Coffees, chai, teas and hot cocoa are available with the Serenade™ Single Cup-Brewer, which grinds beans for each coffee drink when it is ordered. 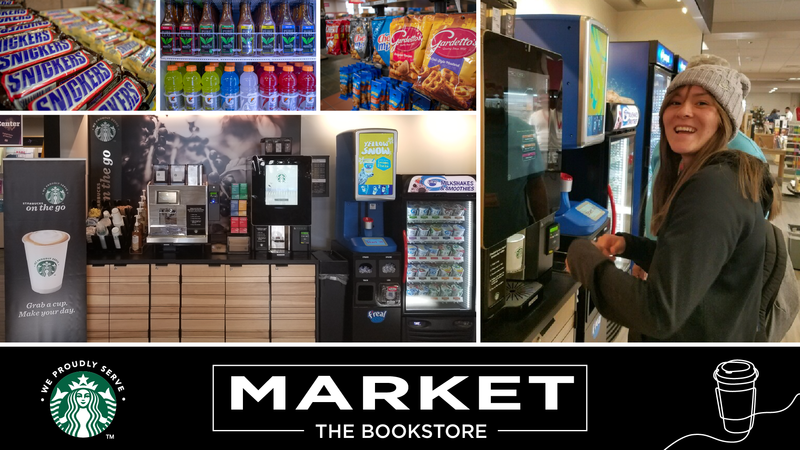 In addition to our Starbucks® On the Go experience, the Market also features an exclusive f’real milkshake and smoothie machine. Simply pick your flavor and the blender will whip up the milkshake or smoothie of your dreams to your own specific consistency. Reese’s Peanut Butter Cup, Cookies & Cream, Pina Colada, and Mango just to name a few. We also have plenty of cold Starbucks and Pepsi beverages in our coolers to keep you refreshed. Frappuccino, Gatorade, Orange Crush, Pure Leaf Iced Tea and almost anything in between. And don’t forget the snacks! We now carry a wide variety of food options to tide you over as well. Chips, pastries, cookies, candy, nuts and seeds, crackers and other salty snacks, as well as gum, mints and more! 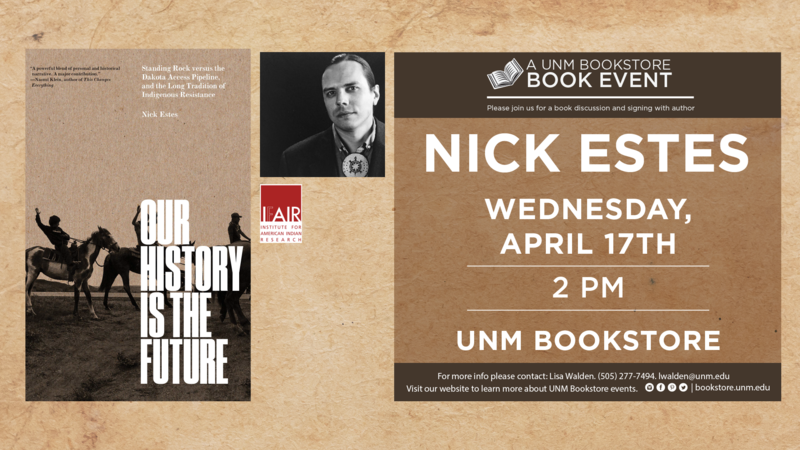 Join us at the UNM Main Campus Bookstore for a discussion and book signing by Nick Estes. The event will be held on Wednesday, April 17th at 2p.m. 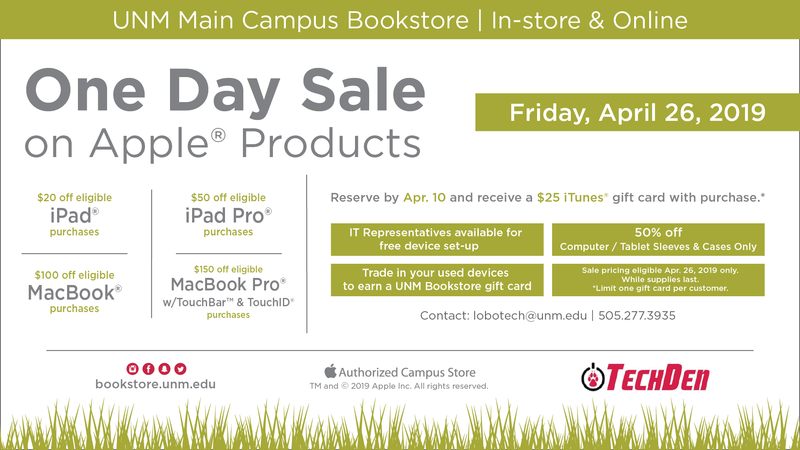 Join us at the Main Campus Bookstore for our One Day Sale on Apple® Products! The sale will take place April 26th only. Reserve by April 10th and receive a $25 iTunes® gift card with purchase. For more information contact lobotech@unm.edu or 505-277-3935. 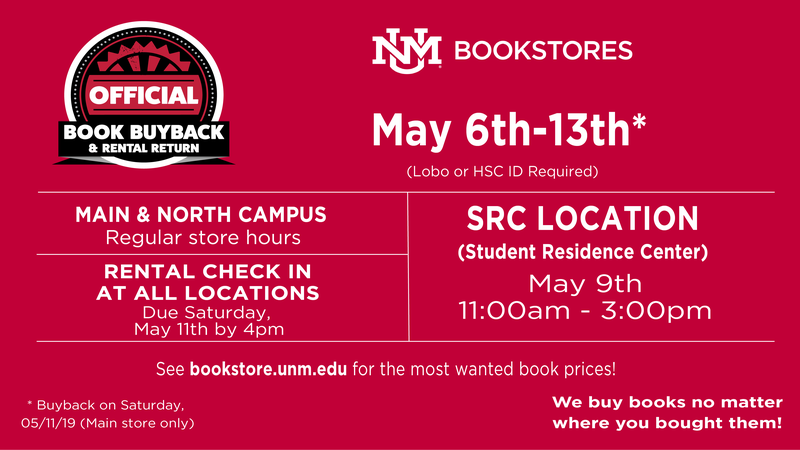 UNM Bookstores will be holding Book Buyback & Rental Return at the Main & North Campus Bookstores from Monday, May 6th through Monday, May 13th during regular store hours. All rental returns must be in by Saturday, May 11th at 4PM Students must have their Lobo or HSC ID.